This is Part II of a two part series about what I learned after attending the New Orleans unconference, Ed Camp on Saturday, July 7th at Trinity School. The day was divided into fourths, and I described the first two sessions in Part I. In this post, I will describe what I learned in the second two sessions. For session three, I began by having a long conversation with Valerie Burton. She teaches high school English in my district and is one of the organizers of Ed Camp. I really liked her energy and focus. I can imagine being a student in her class. I think that it would be amazing, though don't ask me to go back to being 17 again, that would be a nightmare. She told me a story of her principal walking into her classroom as the students were using their phones to post on their blogs. She was unable to get the mobile laptop lab for class that day, but she wanted to stick to her lesson plan. She knew that it was against the school policy for the students to be using their phones during the school day, but it was important for them to write. At first, the principal was put out with her having the students use their phones in class, but Valerie can be quite convincing. With the rationale for why the students needed to use their devices for class out of her mouth in a nano-second, the principal moved on. I like Valerie's attitude of do first and ask for forgiveness later and wish she was at my school so we could collaborate. Yes, I know it could be done with social media, but sometimes working face to face is the best. Then I went to the end of Paula Naugle's talk on Skype. I have done lots of skyping with authors in the library at Patrick Taylor, so there was little new information here for me. The one topic that I wanted to hear and missed, was her explanation of a mystery Skype. I walked in on the tail end of that conversation. Most of Paula's Skype buddies, she met through Twitter. She did explain that if you want to do a video chat with multiple sites at the same time, you need to use Google hang out. I have not used it yet, so I am not sure how it works, but I am always willing to try something new. Paula also described how she used the Oreo Project with her students in math. It seemed like a lot of fun when she skyped with another class of students also trying to stack the most Oreo cookies as possible. Great elementary activity. Just google Oreo project, and you will get the idea. As an aside, someone mentioned a new video chatting website called Spree Cast. No one had used it yet, so it sounds like a site that we need to check out. For the last session of the day, I headed to the Google Apps session by my friend, Tinashe Blanchet. Tinashe and I worked across the hall from each other at Patrick Taylor for three years before she chose to move to a new school. She taught math, but we talked technology all the time. We try to keep up with each other the best we can, and I always learn something when I talk to her. Her brain runs a mile a minute, and it is amazing how she seems to be on the cutting edge for what might work well with the students. In April, she went to London to become a Google Certified Teacher. 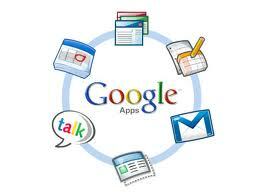 Here are some tips for using Google Apps that you might not know. You can use the Google translator in Google chat, so if you needed to speak with a parent who doesn't speak English you can get some help communicating. To accomplish this, you will need to add a translation bot to your chat. Use the link in the previous sentence to learn how to add the bot. I use Bit.ly to shorten URLs, but Tinashe recommended using Goo.gl instead. By using this tool, you will get a shortened URL, a QR code, statistics for the link, and one of the features that I really like is the small preview of the website that you get on the right so you know that you have the correct link. Also, if you are always logged into Google, then every time you open Goo.gl, you will have access to your shortened links. Okay, Tinashe, even though I am a Bit.ly fan, I will try it. She talked about using Google Docs which is going to soon be called Google Drive, so it can be used for storage of all your documents. Anyway, if you select tools in the menu bar and open research, then you can search Google as you work on your document. Yes, this could lead to plagiarism, but I see it as a way for students to use a dictionary or thesaurus quickly as they write. I have never been a fan of Google Sites. It is ugly, and I want a website to have a little pizzazz. Tinashe suggested using Sites to create an attractive dashboard with links to sites that you recommend to teachers or to students. It looked great, but I don't know if I have a need for it. So that is it, and we made it to 4PM. A long day, but I definitely got some tips and tricks that I will be using this year. Thanks to all the facilitators for putting together an awesome day of professional development. I'm so sorry you missed the Mystery Skype part of the Skype session. You can learn more about it here on my blog. The easiest way to find other classes to Mystery Skype with is to do a Google search. There are several signup areas available. Hope to see you next year at EdcampLA and I look forward to collaborating with you during the coming school year.